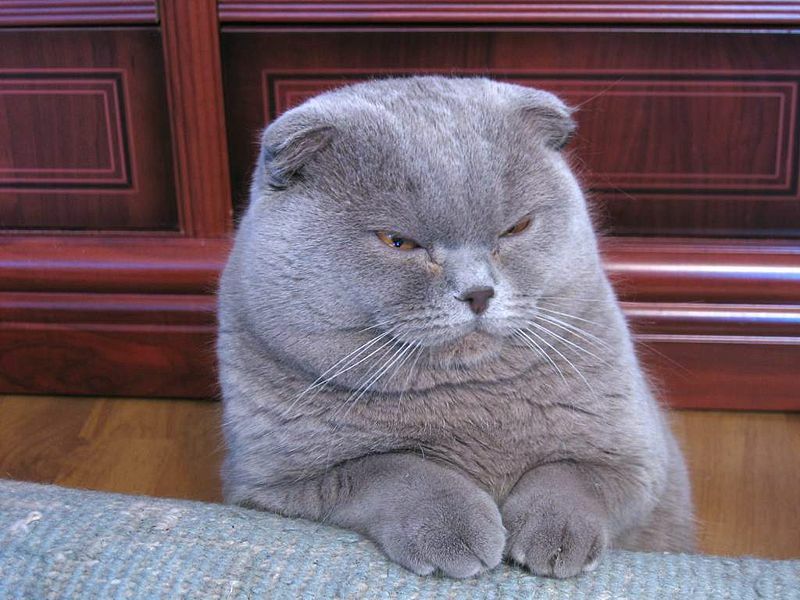 The Scottish Fold—sometimes called Coupari by Canadian breeders—is a breed of cat with a natural dominant-gene mutation that makes its ear cartilage contain a fold, causing the ears bend forward and down towards the front of their head, giving the cat what is often described as an "owl-like" appearance. 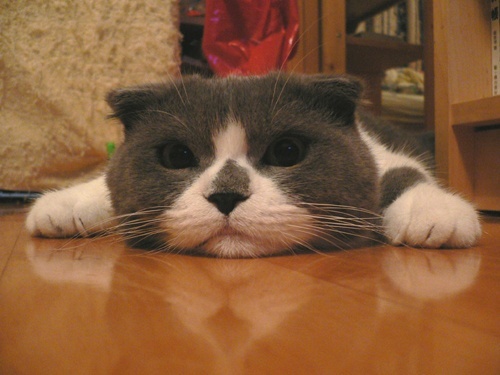 Originally called Flops (for "floppy" ears), the name Scottish Fold became the breed's name in 1966. Longhaired Scottish Folds have various official names depending on the certifying agency, being known as the Highland Fold, Scottish Fold Longhair, and Longhair Fold. The original Scottish Fold was a long-haired white-haired barn cat named Susie, who was found at a farm near Coupar Angus in Perthshire, Scotland, in 1961. Susie's ears had an unusual fold in their middle, making her resemble an owl. When Susie had kittens, two of them were born with folded ears, and one was acquired by William Ross, a neighboring farmer and cat-fancier. Ross registered the breed with the Governing Council of the Cat Fancy in Great Britain and started to breed Scottish Fold kittens with the help of geneticist Pat Turner. The breeding program produced 76 kittens in the first three years – 42 with folded ears and 34 with straight ears. The conclusion from this was that the ear mutation is due to a simple dominant gene; if one parent provides the gene for straight ears, and one parent provides the gene for folded ears, the kittens will be Folds. Susie's only reproducing offspring was a female Fold named Snooks who was also white; a second kitten was neutered shortly after birth. Three months after Snooks' birth, Susie was killed by an automobile. 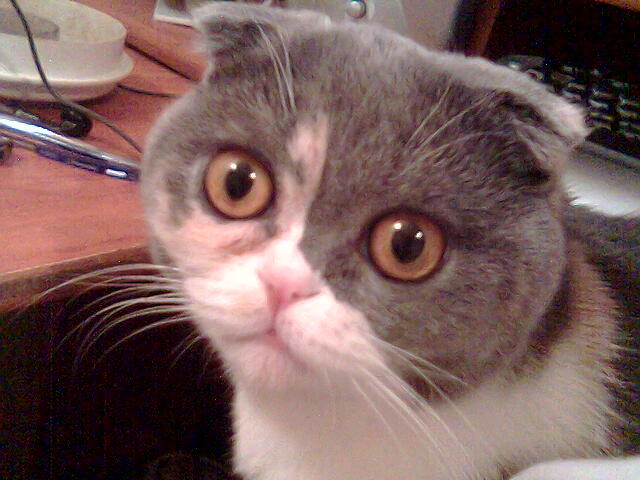 All Scottish Fold cats share a common ancestry to Susie and Snooks, the origination point assurance a lineage quality rare among pedigreed animals. The distinctive physical traits of the breed, combined with their reputation as unusually loving companions, make Folds highly sought-after pets and Fold kittens typically cost considerably more than kittens of more common breeds.